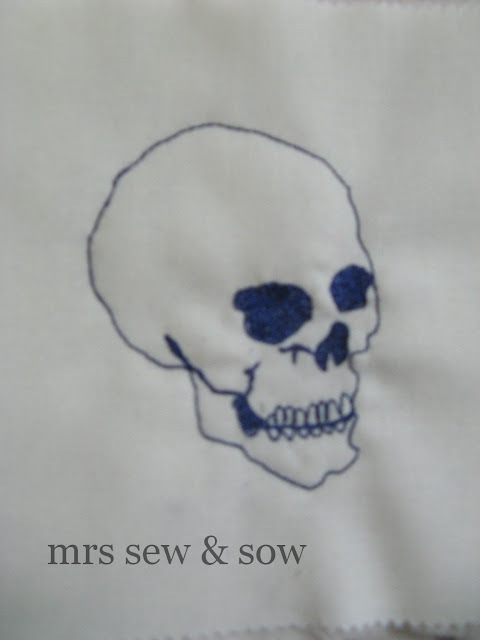 mrs sew & sow: Did you notice...? A pretty lady...a bit thin...needs a bit of fattening up!! I do love your imagination, and your design!! I Love it from the get-go. Lovely work. Great piece of work, but really not my thing! Definitely Not so Grim Nicky! I bet I know who he's for! I LOVE it though! awesome and gorgeous stitching! I love this! Really need to crack on with making my badge now.....!!!! I may be able to guess, and it's not me! He reminds me a bit of Michael Jackson. What a great idea! 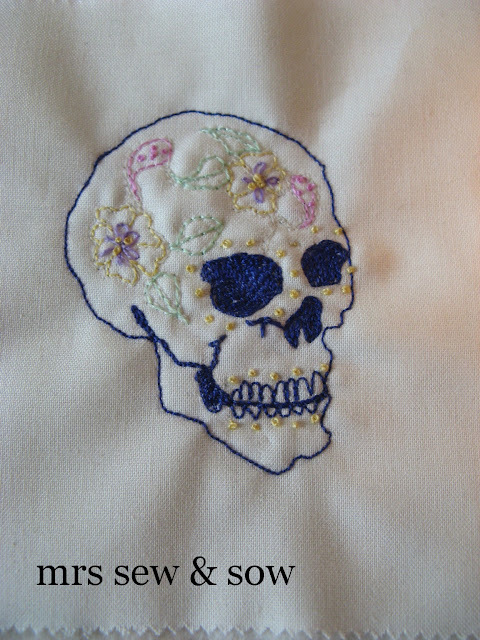 And your stitching is just wonderful. I'd love this is if it was headed my way! I wonder who it's for????? I'm not going *sob* so this isn't for me but I really wish it was!! I just LOVE it!! Well, it's certainly a brilliant work of art, but please let it not be for me!! !But I can have a guess who it is for. Not for me either. But it is an amazing piece of work.